Among John Legend’s long list of achievements includes a No. 1 Billboard single, an Academy Award for Best Original Song, a Golden Globe Award, 10 Grammys, and a internet-famous marriage to supermodel Chrissy Teigen. 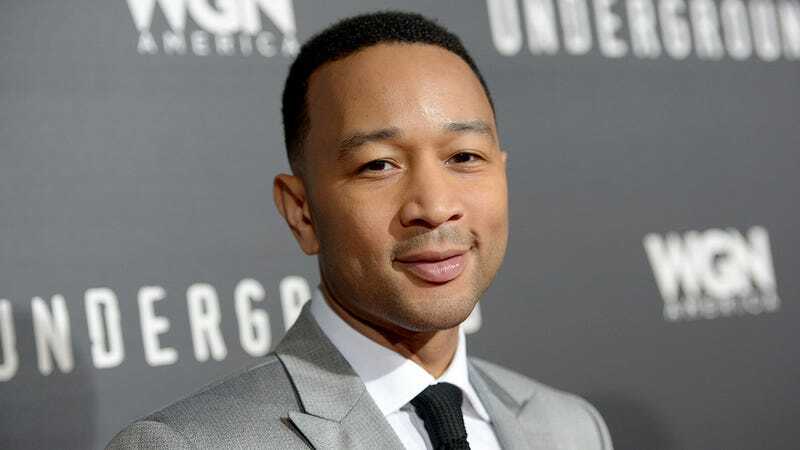 Most recently, John Legend added the lead role in NBC’s hit live production of ‘Jesus Christ Superstar’ to his résumé. We sat down with the multi-talented musician to talk about his work and his personal life. 1. You recently nabbed the title role in NBC’s Jesus Christ Superstar Live In Concert. What was it like putting a modern spin on the story of Jesus? Well, if Jesus were alive today he would work at a Spencer’s Gifts in the mall and never get laid, so we took some creative liberties to make him a little bit cooler. 2. What drew you to start playing the piano? I grew up wanting to play the bench, and even though my music teacher finally broke it to me that the bench was not an actual instrument, I didn’t give up. Instead, I resolved to at least sit on the bench for a living, even if it meant having to play piano while I did it. 3. You’re involved with numerous charities. What attracts you to a cause? The charities I work with all have one thing in common: They exclusively benefit one sick vole in my hometown of Springfield, OH named Morris. From the Morris the Ohioan Vole Fund, to Hope for That Vole, to Let’s Make This Vole Better, my wife and I are involved with over 17 charities controlling nearly $450 million in annual donations, all of which go to poor Morris the Vole, who has a bad cold, one messed-up-looking antler, and tumors for eyes. Morris is definitely going to die. 4. You went to college at the University of Pennsylvania in Philadelphia. Looking back, do you think starting out in Philly played any part in your budding career? I credit a lot of my work ethic to spending time around the hardworking but musically clueless bucket drummers of Philadelphia. Anywhere you go in that city, there are bucket drummers trying to wring change out of you by singing the worst rendition of the Rocky theme song you’ve ever heard while hitting their buckets totally off-rhythm. I remember one guy said he’d write me a song if I gave him $5, so I did, and then he just yawned into his bucket. I love that never-give-up mentality, and it’s something that’s inspired me throughout the highs and lows of my career. 5. The internet can’t get enough of your marriage to Chrissy Teigen. You two seem to be a match made in heaven! If you could sum up your marriage in a few brief words, what would those words be? Chrissy Teigen, marriage, John Legend, house, shared refrigerator, monthly gas bill.